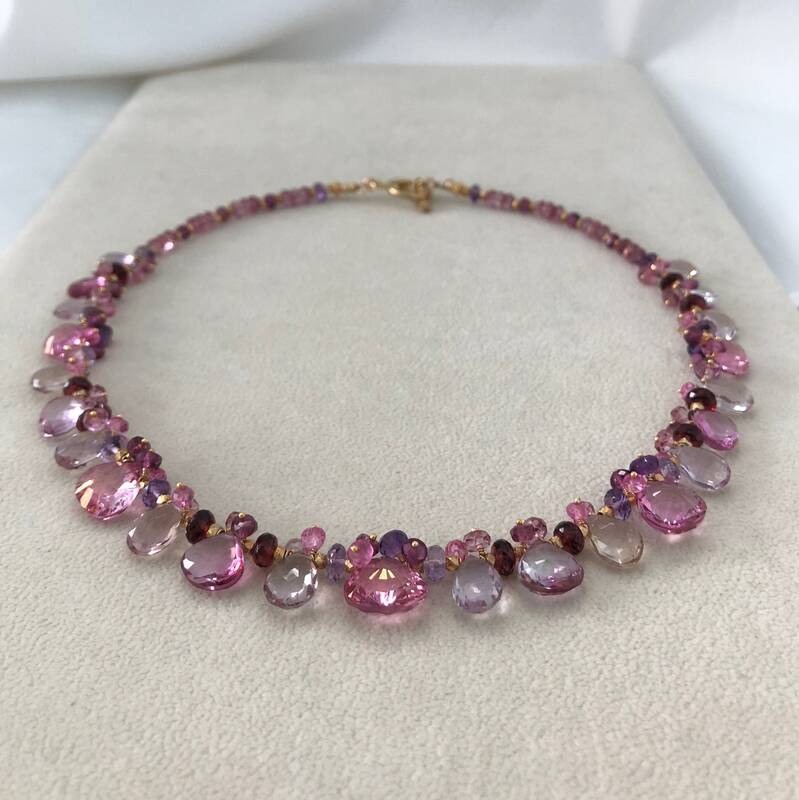 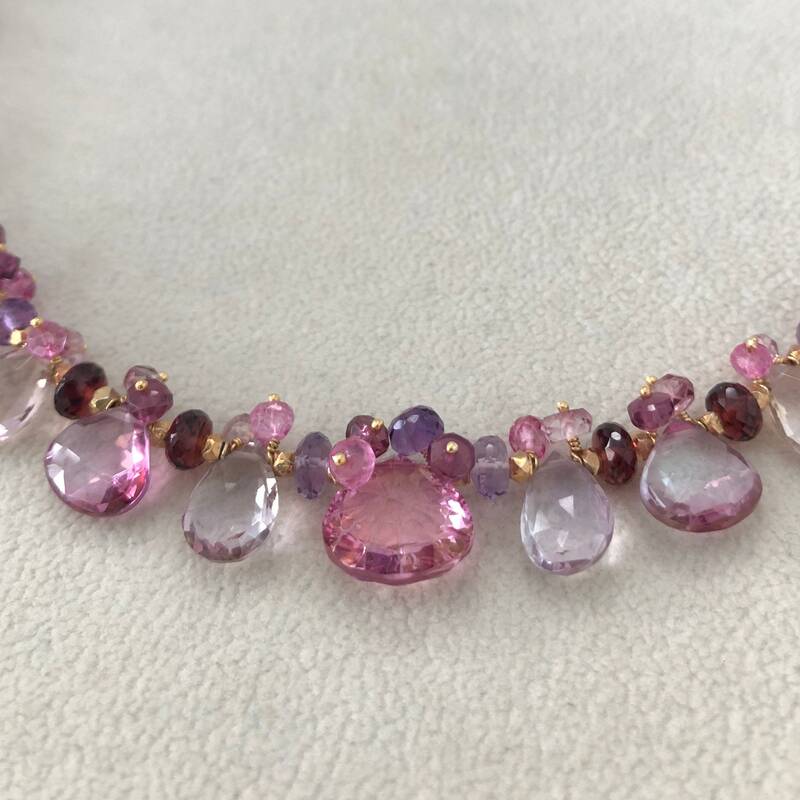 This gorgeous beaded necklace with a modern twist is composed of mystic pink topaz, mystic pink quartz, amethyst, ametrine, garnet and rhodolite garnet. 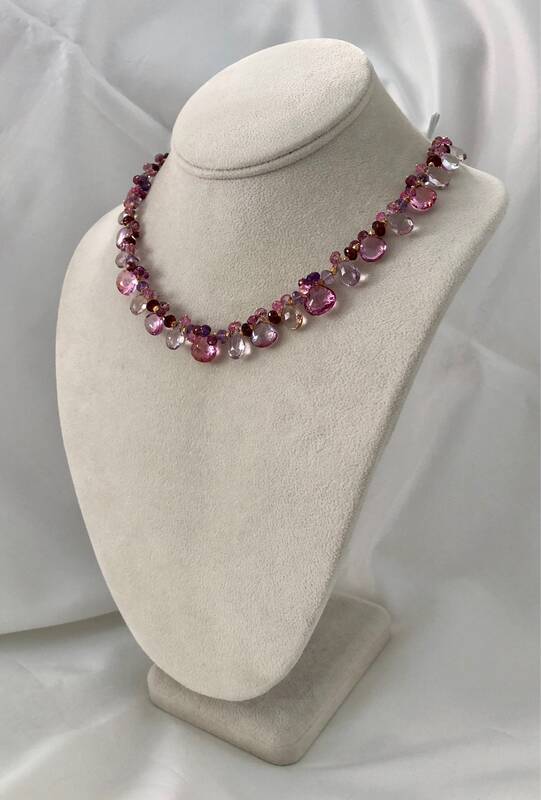 The focal gemstone is a gorgeous concave cut mystic pink topaz measuring approximately 13 mm. 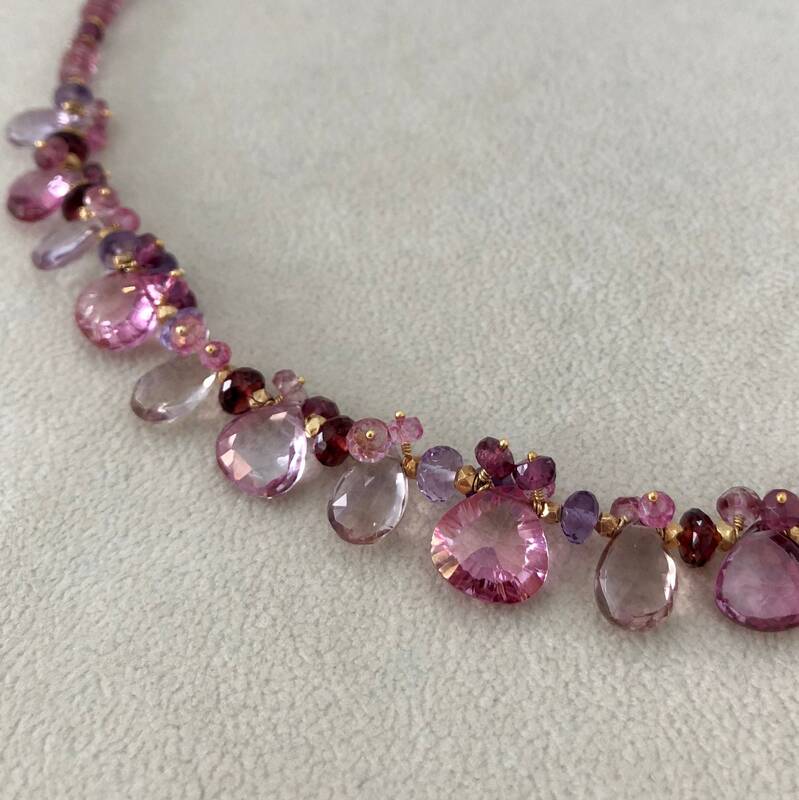 This necklace consists of rare and exceptional gemstones. 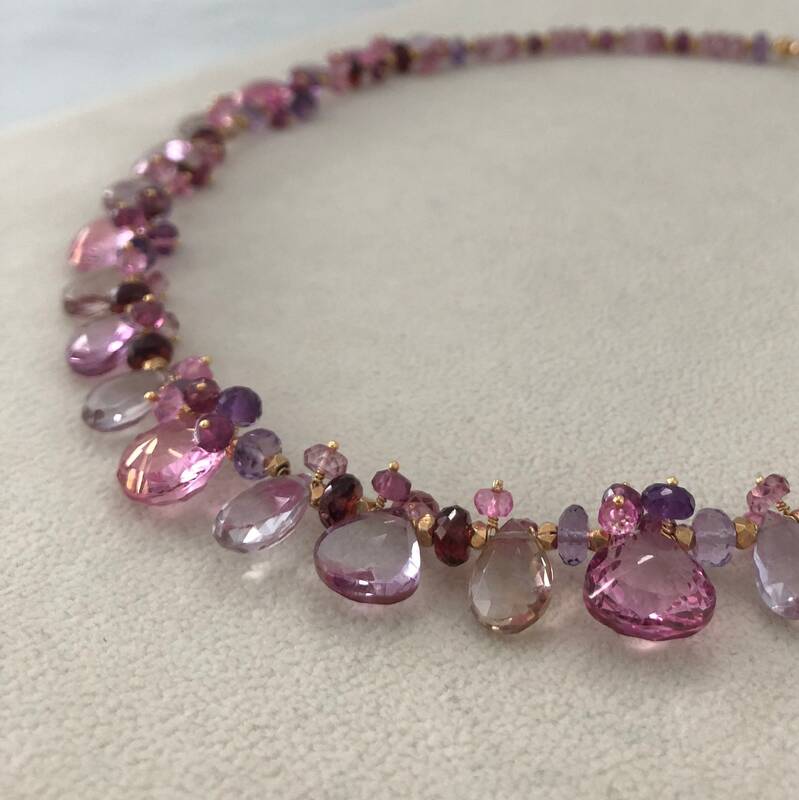 The amethyst is some of the most beautiful that I have seen in a while. 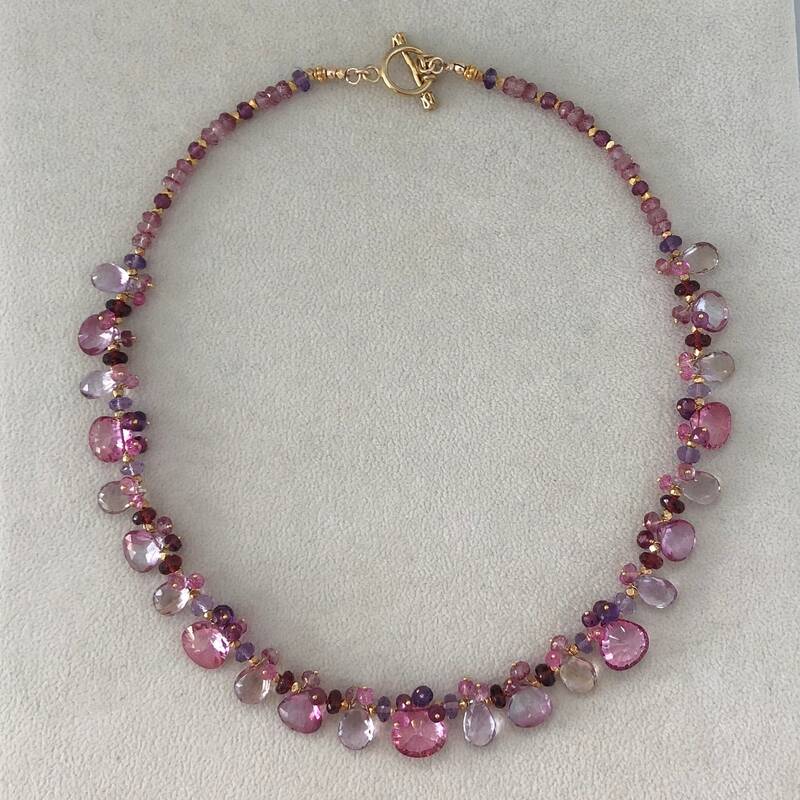 They are nearly translucent with excellent fire. 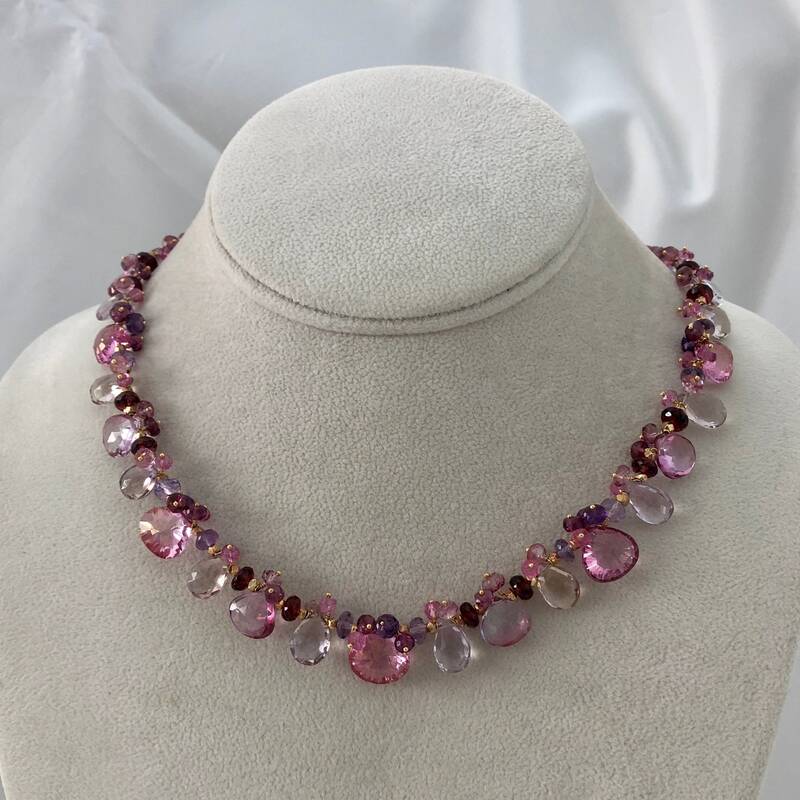 Rhodolite garnet is nearly extinct because the mines have closed. 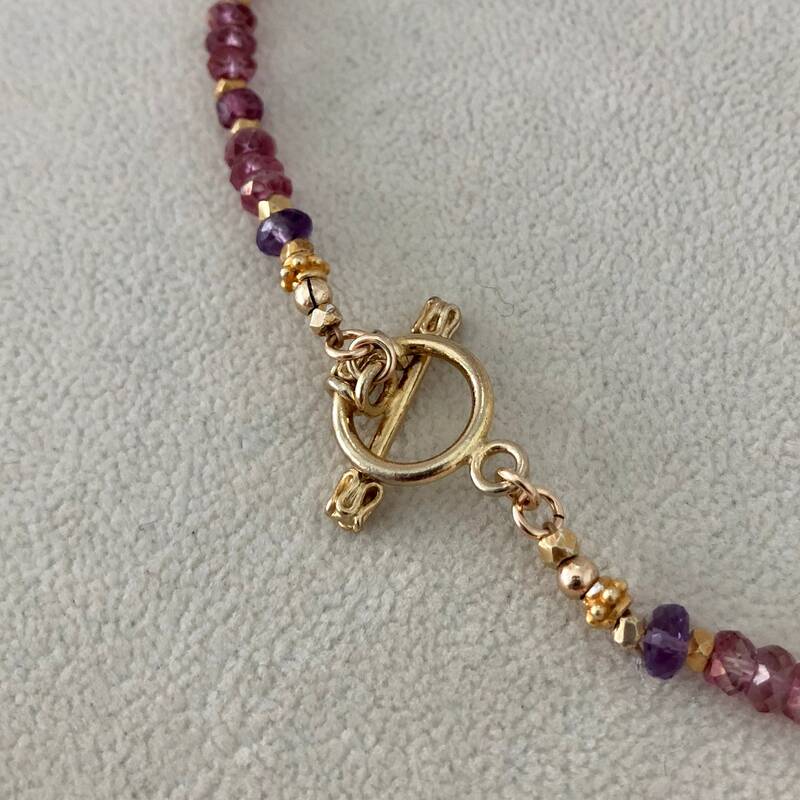 This necklace is finished in gold vermeil and completed with a pretty toggle clasp. 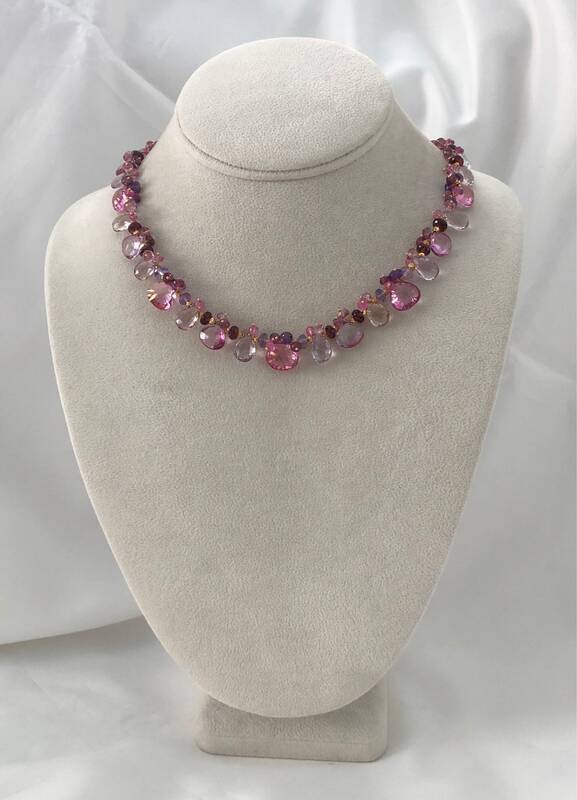 Necklace measures approximately 17.5-inches. 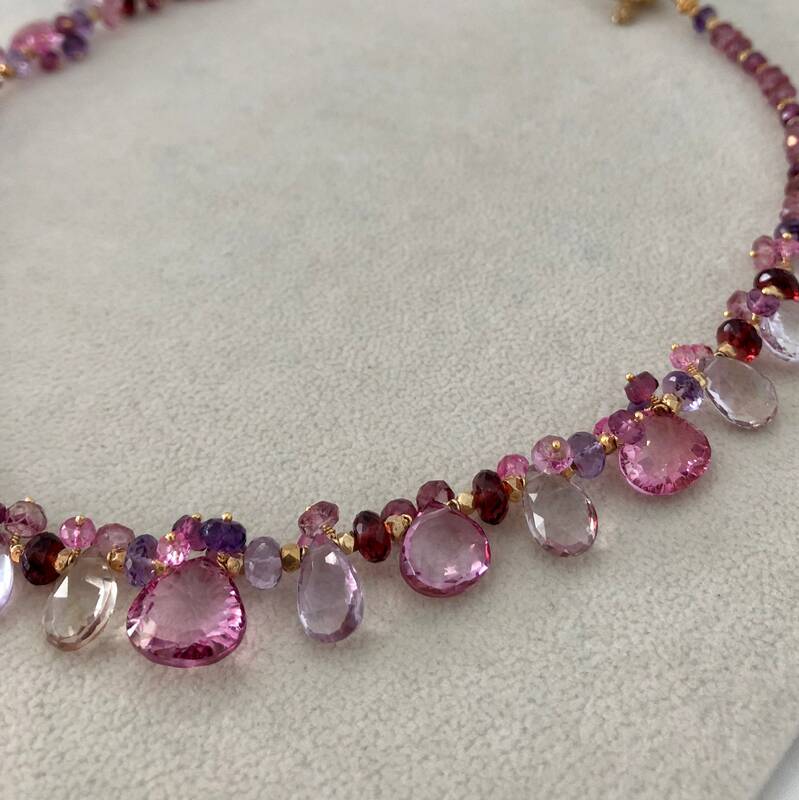 Handmade by me in San Francisco, CA, USA.